Angelwebs.org is a web-based organization working to provide websites and establish networks to help individuals and communities in need. All donations to Angelwebs.org and residuals from Angelwebs.com will be used for the design, construction and maintenance of charitable websites. By purchasing your domain names or hosting websites at Angelwebs.com, or by registering here to become an Angel Web Sponsor, you will be helping others to receive 100% free websites to help support their physical and/or emotional needs. Be it fund raising for health issues, accidental deaths, public education or distribution of information for missing persons, to those in need, websites are an invaluable asset and serve as true angelic gifts. * Please note that donations to this site are not tax deductible, they are purely charitable. With Thanks & Angel Blessings to all our Angel Web Hosts, Supporters and Benefactors for your participation! 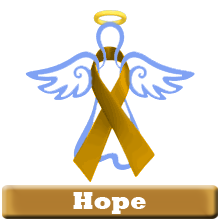 Be an Angel, advertise your Web site and become an Angel Web Supporter now!